What’s the difference between a wheat allergy and wheat intolerance (gluten intolerance)? 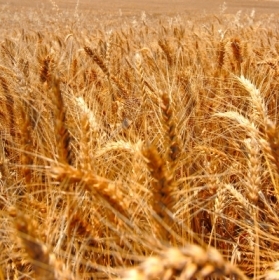 An allergy to wheat is an allergic reaction to a component in wheat. The allergy usually presents itself on early childhood and is usually outgrown by age three. Wheat is made up of four components albumin, globulin, gliadin, and gluten. The majority of the reactions in a patient that has an allergy to wheat are caused by albumin and globulin. A reaction to gluten is usually associated with celiac disease or other disorders involving the digestive system. A person with an allergy to wheat usually shows symptoms within seconds or eating or even inhaling wheat. Wheat Intolerance is when the body has difficulty digesting wheat or more specifically the protein gluten in wheat. A wheat intolerance develops over time and gradually damages the villi (small, finger like projections that line the small intestines) in the small intestine. Villi allow nutrients to be absorbed into the body when eating food. When a person with a wheat intolerance eats gluten the body recognizes it as a foreign matter and therefore starts destroying these villi. The damaging effects are slow and gradual and symptoms can vary from patient to patient. With a gluten free diet the small intestine is allowed to heal. The treatment for a wheat intolerance (gluten intolerance) is a gluten free diet. People who have suffered for years can improve their health within weeks.